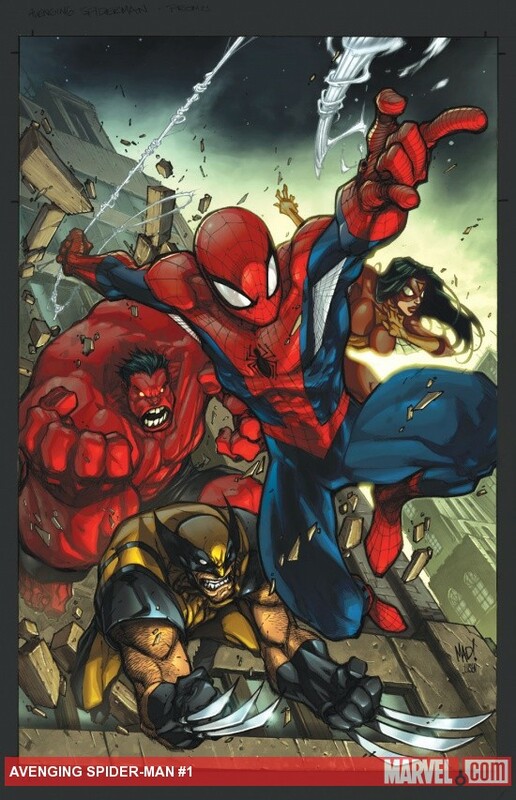 Marvel is making digital comics history once more, and proudly announcing that AVENGING SPIDER-MAN #1, from the superstar creative team of Zeb Wells and Joe Madureira, will be polybagged with a code for a free digital copy of this issue on the Marvel Comics app for free. That’s right: for no additional charge to the retailers or consumers, Marvel is making sure that everyone who purchases AVENGING SPIDER-MAN #1 (any cover, including variants) at their local comic shop can get a free digital copy of the issue on the Marvel Comics app. Of much greater importance in the press release other than the free download -- which, let's be honest, is no big deal since you are holding the physical copy in your hands already -- is the announcement that the comic will be polybagged. Not just the regular cover, though. It states "any cover, including variants" will be polybagged. Now that may be a first. And for crazy completist collectors like myself, I always get 2 copies of polybagged books -- one to open and one to remain sealed (in its original format) in that lovely poly coffin. This one will have you avenging your wallet.